Happy Monday! I hope you all had good weekend. Ours was spent lounging around and taking the little one to the park and on walks. It was one of those perfect winter weekends. As you can see, pink is my colour right now. Since purchasing this coat, it's definitely my most worn coat of the season - even more than my parka. Because it's bright and bold, there's always that element of chic no matter what's under it... even if its sweats! 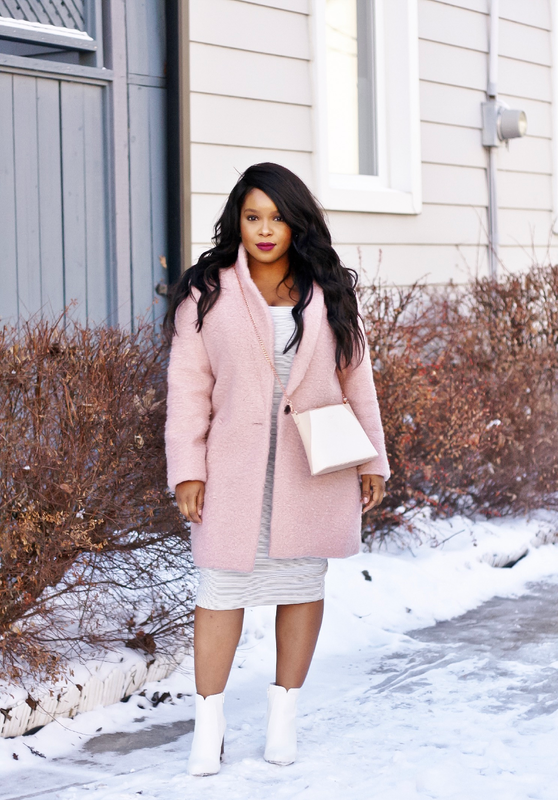 A statement coat and almost always salvage any outfit. Unfortunately this coat is sold out, but I linked a similar one below. Love love love this jacket. Pink is an all the time colour!